My challenge this weekend from my lovely taster friends was to whip up some dairy-free, vegan friendly custard..How?! I hear you cry! Is that even possible? Well first off, did you know that Bird’s custard powder is completely dairy free? I bet you didn’t – the only vegan I know didn’t either! Bird’s custard powder does not and has never contained egg, or milk powder! All it contains is starch, salt, colouring (Annatto) and flavouring. When you make it you add the milk and sweetner, so you can make it dairy free if you like but using an alternative milk. So that’s all good I guess but frankly I don’t want to be eating articifical colourings and flavourings so I still thought I’d have a go at recreating that custardy yumminess myself and to make it just a little more fun I asked my two official tasters, Colette and Mel, and some special guest star tasters, Rod, Ben, Debs and Sue, to try all the recipes out to see which they liked best. 1. Bird’s custard powder, made following the instructions using Soya milk and unrefined raw sugar. 2. 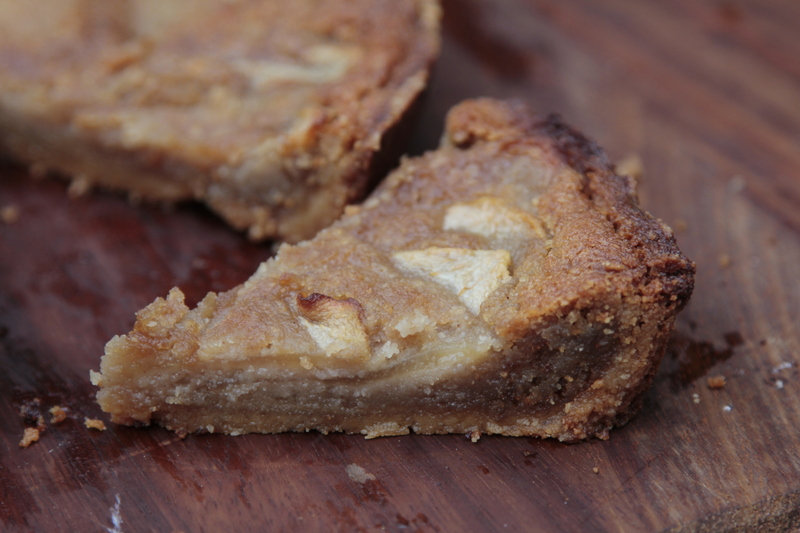 1 pint soya milk, 3 tbsp unrefined raw sugar, 1 tsp vanilla extract, 1 tbsp cornflour and a little water. The soya milk needs to be heated in a pan with the sugar to just below boiling point, stirring all the time to dissolve the sugar. meanwhile mix the cornflour with a very small amount of cold water to form a paste. Add that to the soya milk and bring to a gentle simmer. Stir all the time. Heat until you get the consistency you want. If you want it thicker add more cornflour. 3. 1 pint soya milk, agar flakes (follow the instructions on the packet for the amount of liquid used, I used 2 tbsps), agave nectar or sweet freedom to taste (about 2 – 3 tbsp but taste as you add! ), half the seeds from a vanilla pod. Heat the soya milk in a pan with the agar flakes stir until the flakes dissolve and bring to a very gentle boil then continue to heat for as long as it takes to dissolve them! Add the agave and vanilla at any time. It won’t set in the pan so it will still appear very runny, but as it cools it will start to get thicker so once the agar is dissolved you can take it off the heat and allow to cool. 4.1 carton of silken tofu (approx 350g or so), 1/3 cup of agave nectar or sweet freedom, 1/2 tsp cinnamon, 1/4 tsp ground ginger, 1/8 tsp nutmeg, pinch of salt. Blend all the ingredients together using a wand blender or normal blender. Chill to set. 5. 1 pint almond milk, agave nectar or sweet freedom (to taste – probably about 2 – 3 tbsp), seeds from 1/2 pod of vanilla, 1 tbsp cornflour and a little water. As for number one, heat the milk in a pan with the sugar to just below boiling point and add the agave or sweet freedom – stir to dissolve. Meanwhile mix the cornflour with a very small amount of cold water to form a paste. Add that to the soya milk and bring to a gentle simmer. Stir all the time. Heat until you get the consistency you want. If you want it thicker add more cornflour. 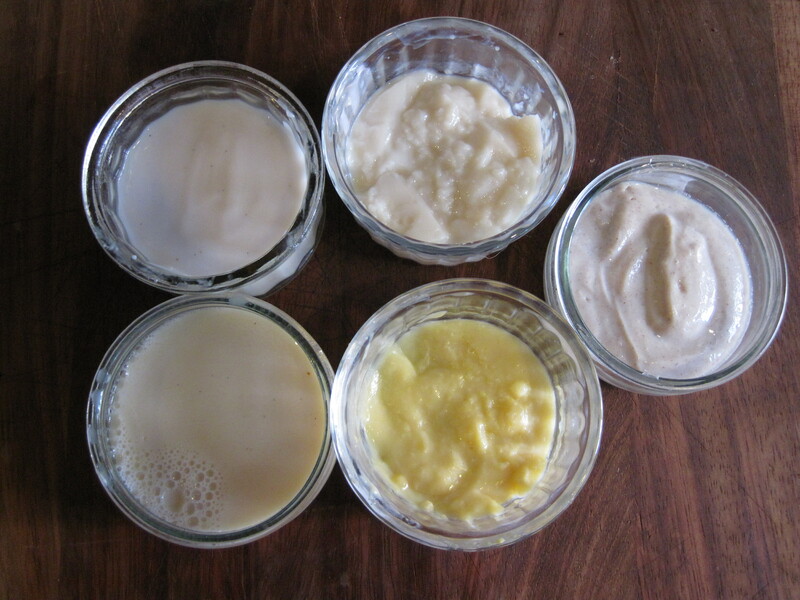 If any of them have lumps (which depending how good your stirring is then then may!) then just pass them through a sieve. They can be served chilled or warm! Right so what was the verdict? Number 1 came in top from all my tasters – Debs said it was perfect and Sue agreed. This was Colette, Rod’s and Ben’s favourite. Number 3 Mel wasn’t keen on this one, Debs said not much taste and Sue didn’t like the texture. Rod liked this one. Number 4 – Everyone thought it was too cinnamony – and generally would be a nice accompaniment to things but wasn’t really a custard (and I agree). So unsurprisingly everyone liked number 1! I think a big part of this is the fact that it “looks” like custard (i.e. fake yellow!) and of course it’s the taste we’re all conditioned to! But I’m pretty chuffed that number 2 came in joint top as it was my attempt to replicate it. In fact it’s not surprising as it’s basically the same ingredients, just without the articifical flavourings and colourings. Number 5 was probably a bit too almondy but if you like almond milk it’s worth a try. The tofu one is a pretty nice accompaniment for a warm dessert but it’s not a custard really. The agar one was the least successful and I’m not surprised – it sets too hard and becomes more of a pudding, it’s also hard to work with. So the winner is soya milk (or whatever milk of your choice), cornflour, unrefined sugar and vanilla! Top tip – if you hanker for a dairy free crème brûlée you can use this recipe with just a bit more cornflour. Pour into ramekins and leave in the fridge to set! 🙂 Pop a few raspberries or blueberries in before it sets if you want a fruity version, then when you’re ready to eat just remove from the fridge, sprinkly with coconut palm sugar (or unrefined raw sugar) and melt with a blowtorch or under the grill until you get a cripsy topping! 🙂 ta da! Ah pancake day is here again! I was going to try to resist jumping on the pancake posting bandwagon but I just can’t help myself! There are loads of awesome recipes out there but this year I’m going for this gluten-free recipe from Pure Form Fitness. 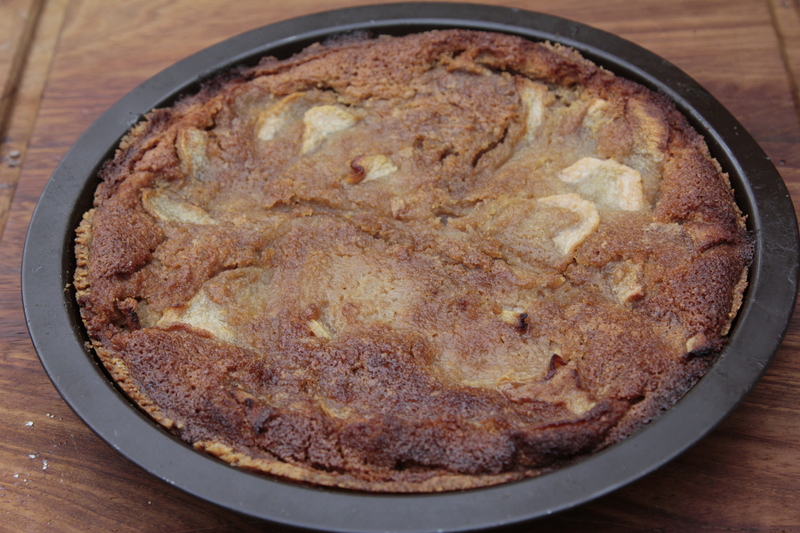 I’ve used homemade puree’d apple as the egg subsitute and they’re light, fluffy and frankly delicious! I’m having my first batch (of many!) with fruit and maple syrup! 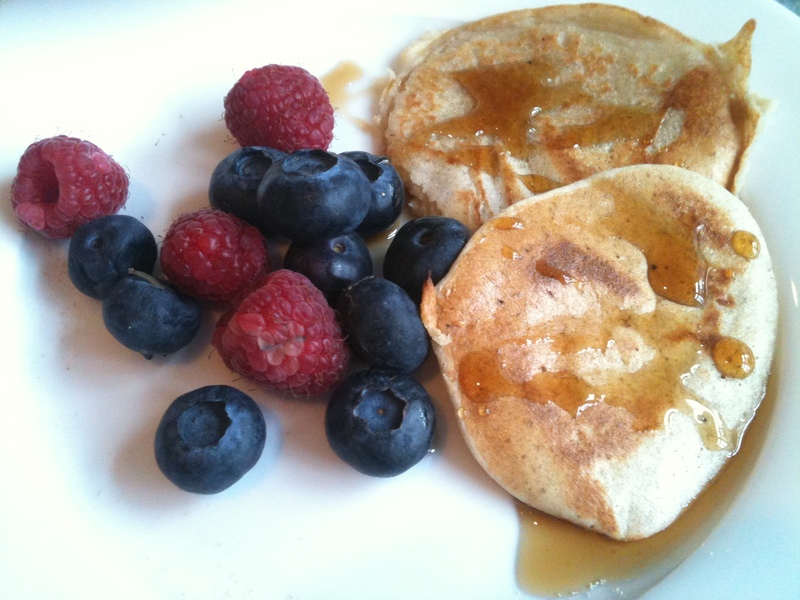 Then I’m cracking out the lemon and sugar I think…..
Another fab recipe for vegan pancakes is from the Toxic Vegan. I tried these yesterday and they’re yummy! And this popped in to my inbox this morning from Paperbagblog which is FULL of lovely sounding recipes so give them a go! I absolutely LOVE almond and whenever there’s a frangipane or almond tart on offer somewhere you can bet that that will be the cake I choose. So when I came across this awesome recipe I just had to try it! It’s from Isa’s website but I’ve modified it to make it gluten free and substituted the margarine for coconut oil which is much healthier and less processed. My tasters almost didn’t get any of this as I pretty much inhaled it as soon as it came out the oven! Start with the pastry. Put the ground almonds into a food processor with the flour and salt and pulse to combine. Keep pulsing and add in the olive oil gradually. Add 2 tablespoons of almond milk and keep pulsing. The mixture should hold together when pressed, if it doesn’t then add some more almond milk, pulsing all the time, until it does. At this point have a taste. If you want a sweeter pastry then add some more sugar until you get the desired flavour. Press it into a pie dish. This amount should do a 9 inch pan. Using a fork prick the base of the pastry shell and place in the oven for 15 minutes to blind bake. Now for the frangipane (my favourite bit! 🙂 ).Put the coconut oil, sugar, ground almonds, cornflour, cinnamon and salt in a food processor and pulse until well combined and all crumbly. Slowly add the almond milk, vanilla extract and almond extract whilst still pulsing the food processor until it forms a thick batter. Pour the batter into the pre-baked pastry shell. Peel and core the pears, slice them in half and then into thin slices (about a 1/4 of an inch thick). Lay the pear slices in the batter – overlap them and push them in so about 2/3 is under the batter and the top is sticking out (so you need to put them in at an angle if that makes sense!). Bake the tart for 40 – 45 minutes or until the top is golden brown, then move the tart onto a cooling rack and cool for 20 minutes. 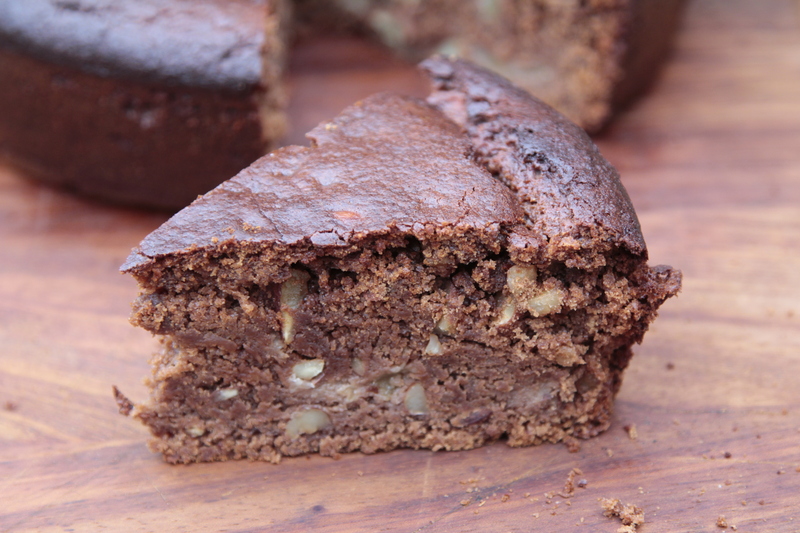 Almond, Pear and Tahini Cake – gluten and dairy free! Make sure the tahini is well stirred as the oil tends to separate out in the jar. Add to a bowl with the date syrup and mix until well combined. In a separate bowl add the flour, cinnamon, almonds and pear and mix together. Add the bicarbonate of soda to the tahini mix and stir well. Then add a third of the flour mix and mix well. Add half the apple juice and mix again. Add another third of the flour mix and the final half of the apple juice and mix. Then finally add the rest of the flour mix. Stir well until combined then pour into a the tin. Place in oven and bake for 45 mins. Then turn the oven down to 160 C and bake for a further 30 mins. For the final 10 mins loosely cover with foil. 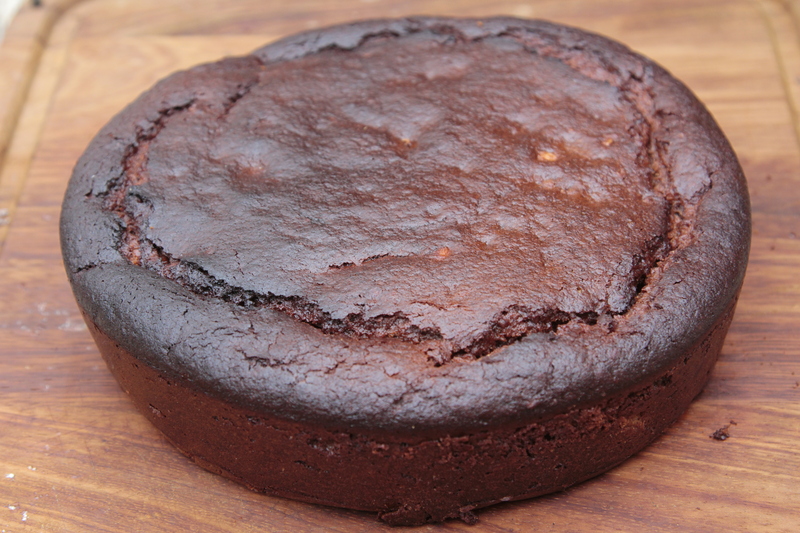 Keep an eye on this cake – because it’s dark it’s hard to see when it’s starting to be a bit too well done (aka burnt! ), if it starts to look too done just pop the foil on sooner, otherwise it will look like mine! I like burnt edges on my cakes though so I was happy! 🙂 Once done remove from the oven and let it cool in the tin for 10 mins before transferring to a wire rack. 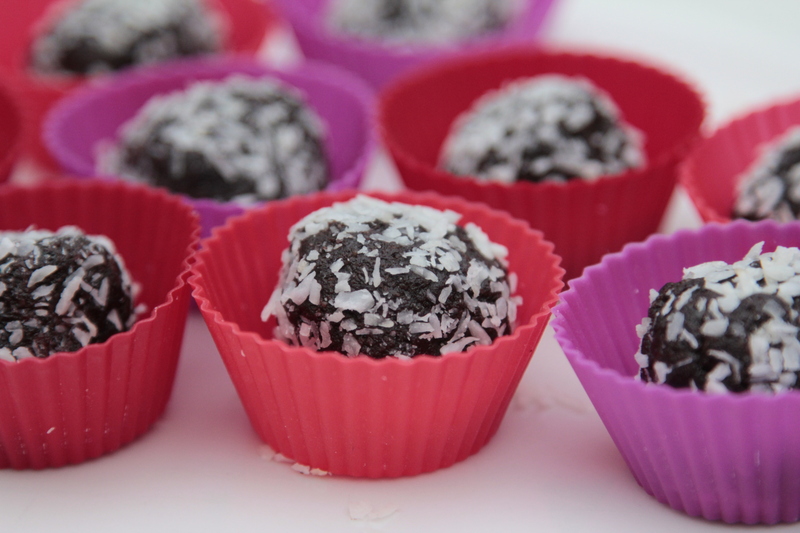 As it’s valentine’s day I just had to give this recipe for raw chocolate truffles a try. 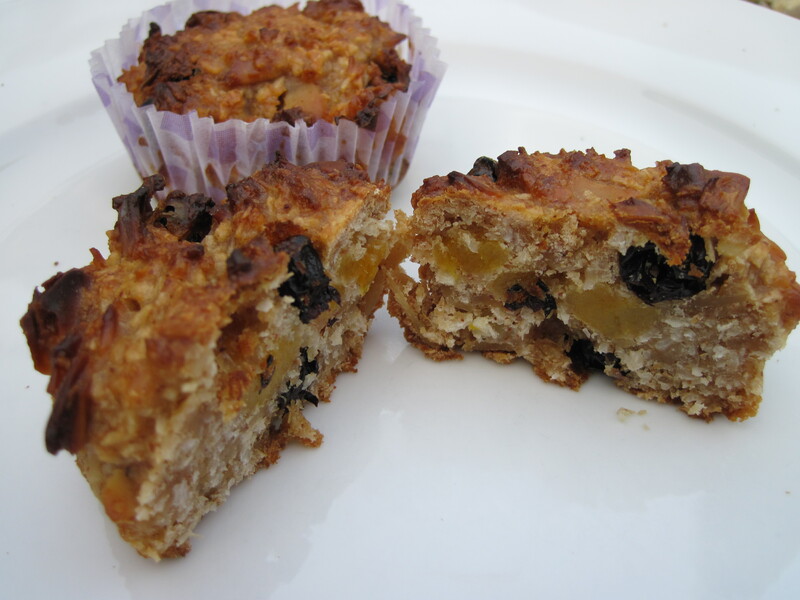 I modified the recipe a bit – I subsituted the honey in the original recipe with Agave and because they tasted a bit sweet to me I added in a tablespoon of carob powder too. They’re not half bad for a healthy truffle and very easy to make!